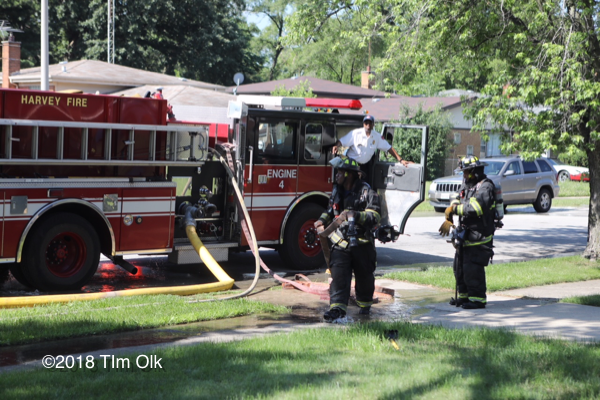 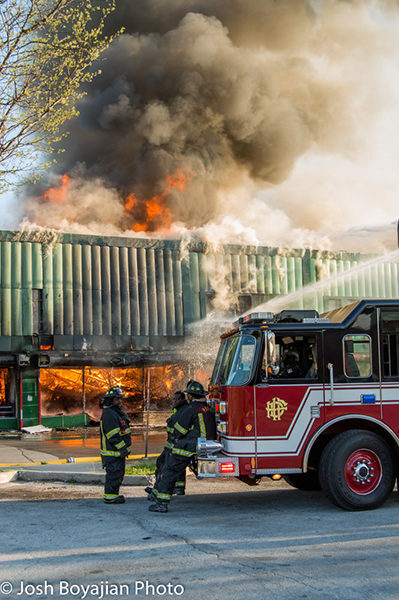 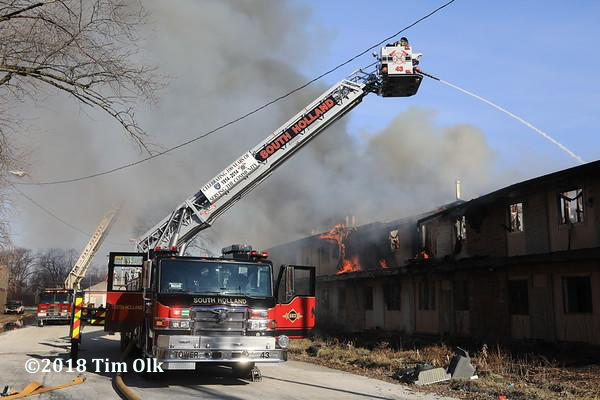 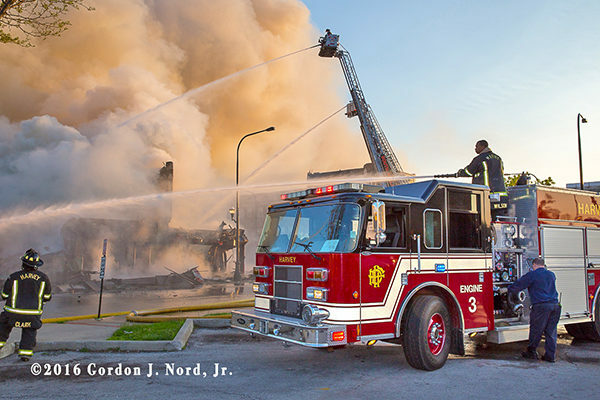 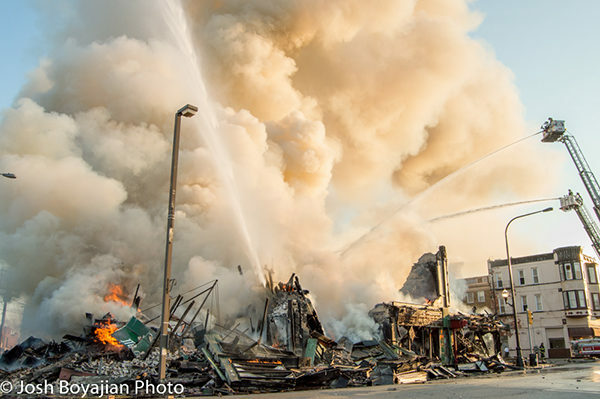 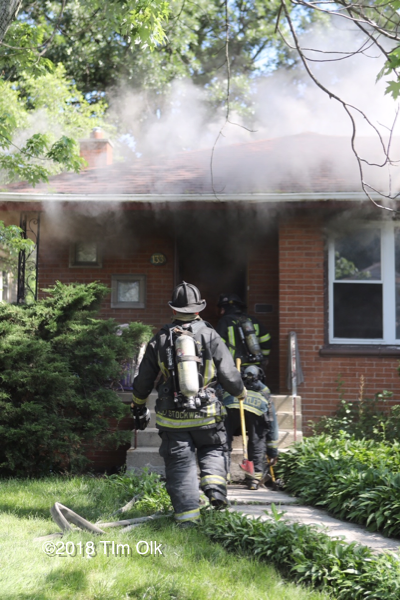 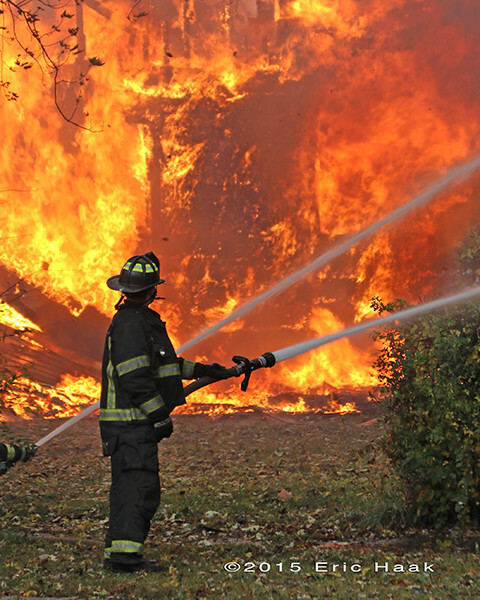 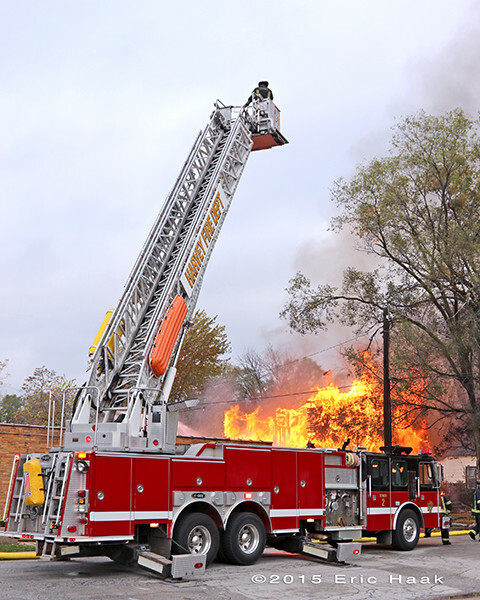 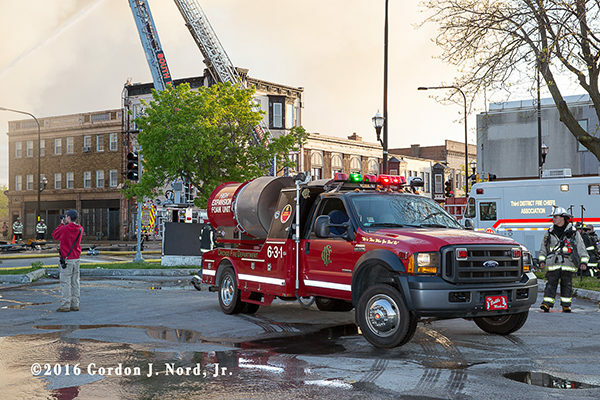 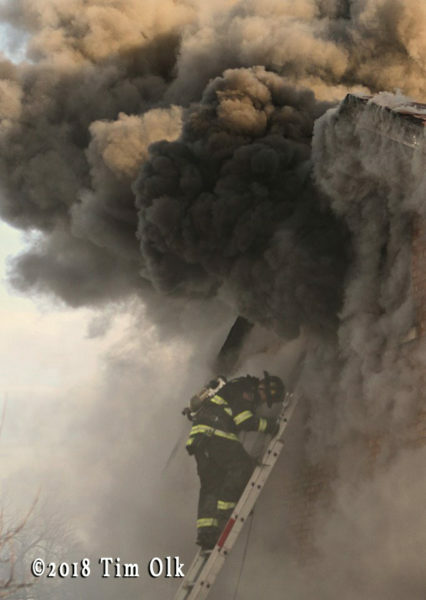 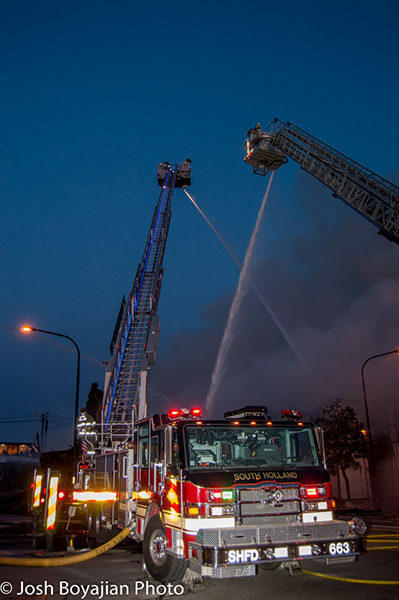 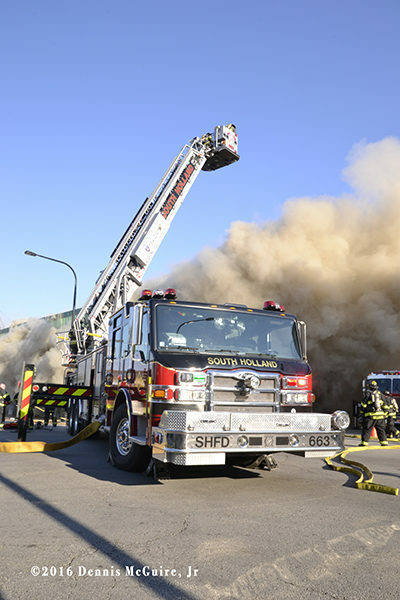 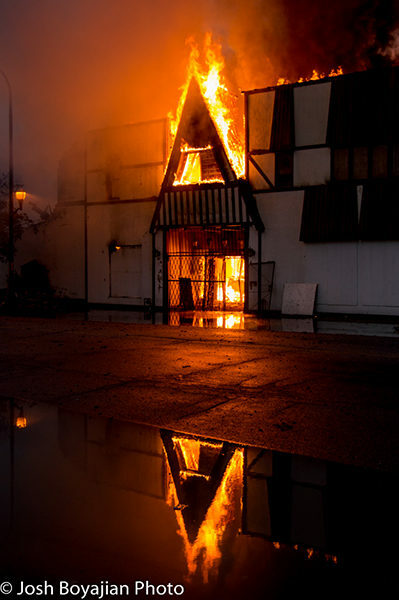 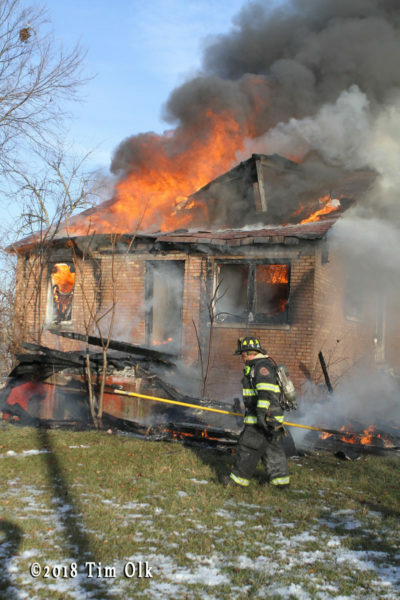 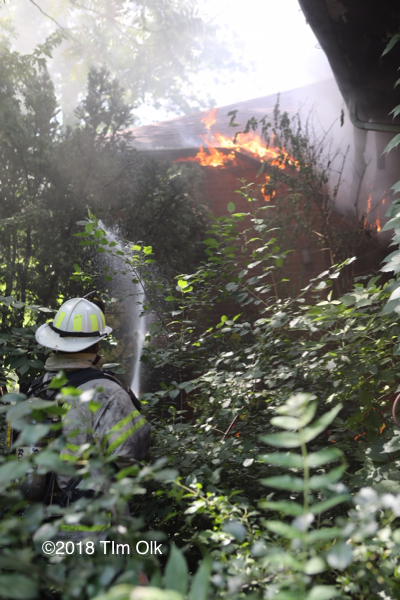 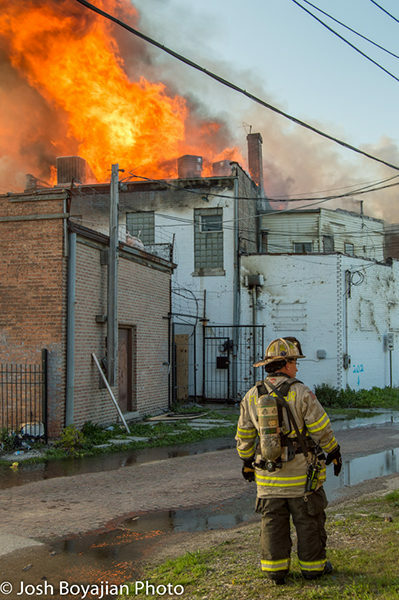 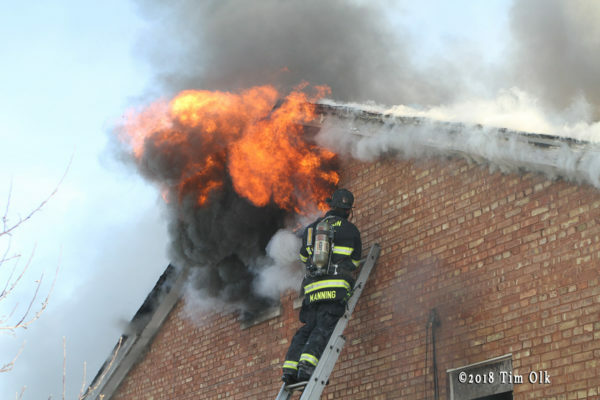 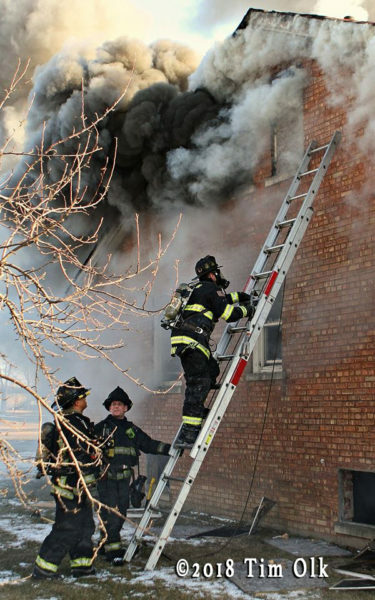 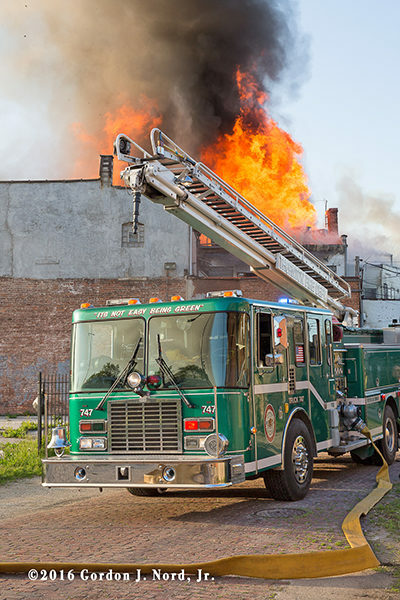 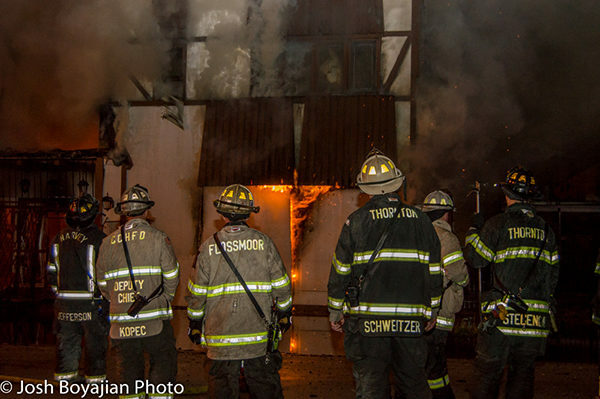 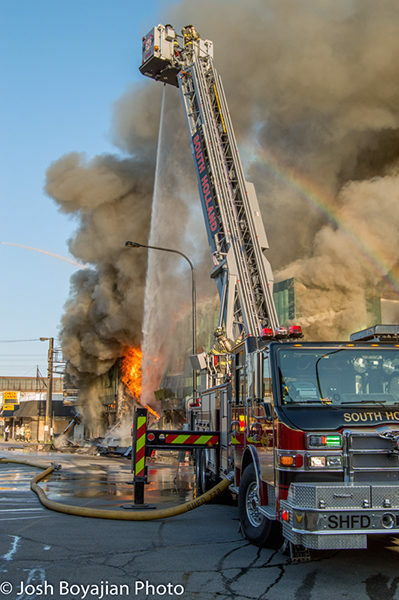 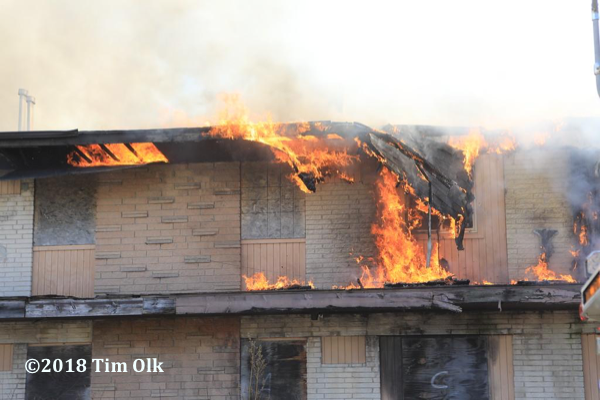 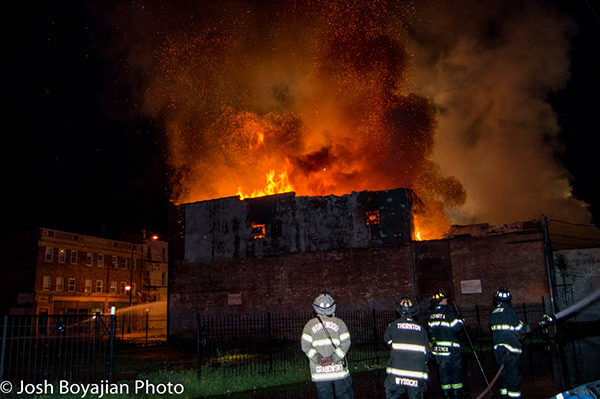 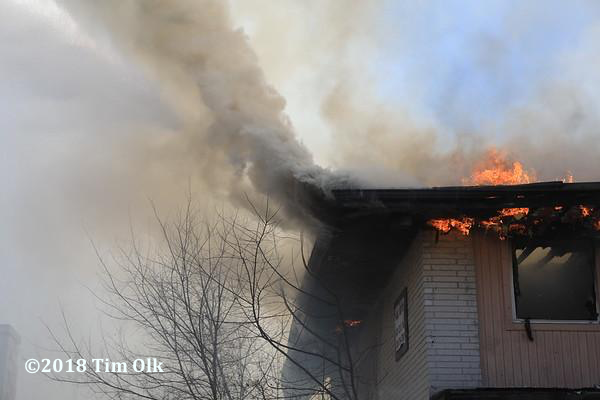 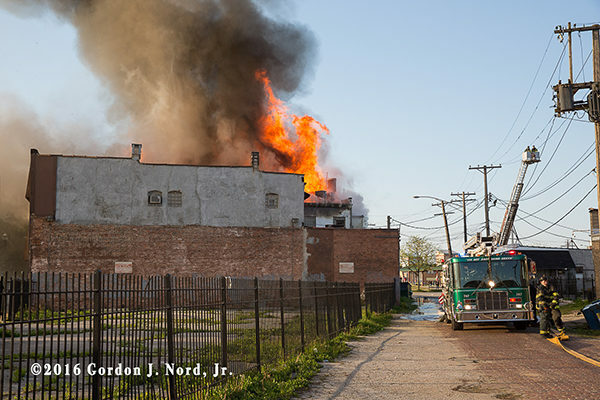 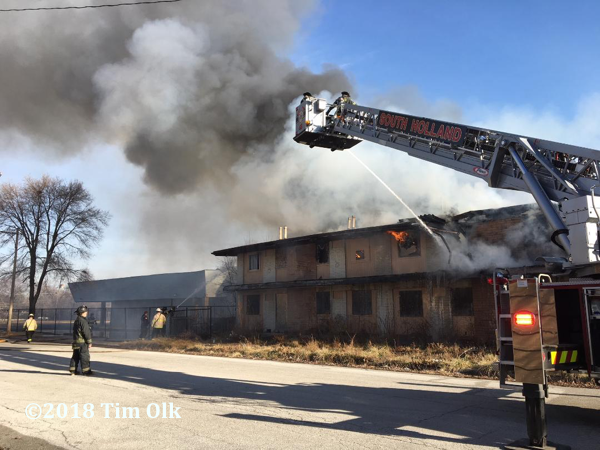 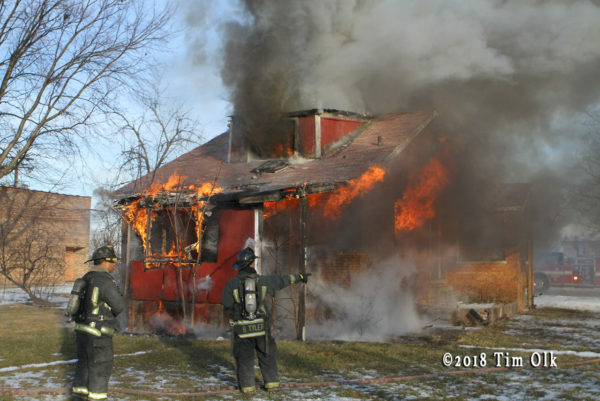 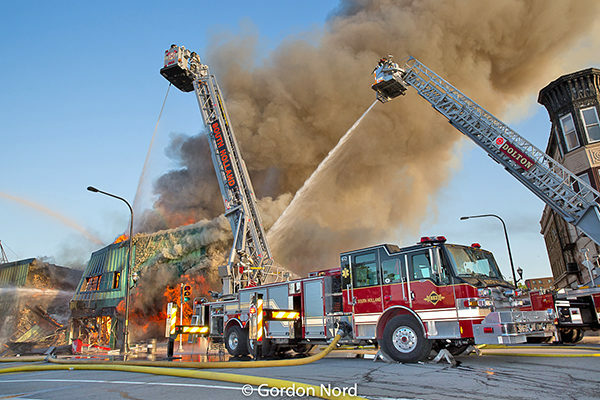 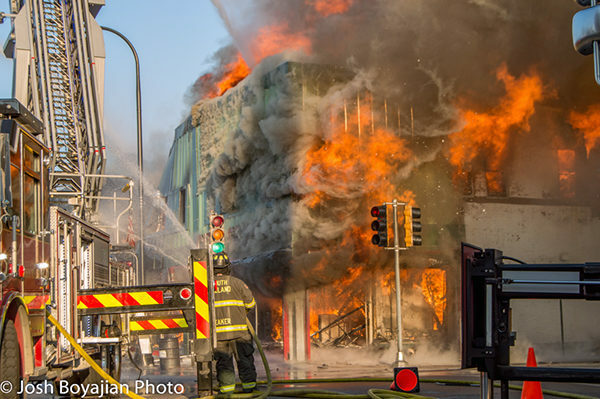 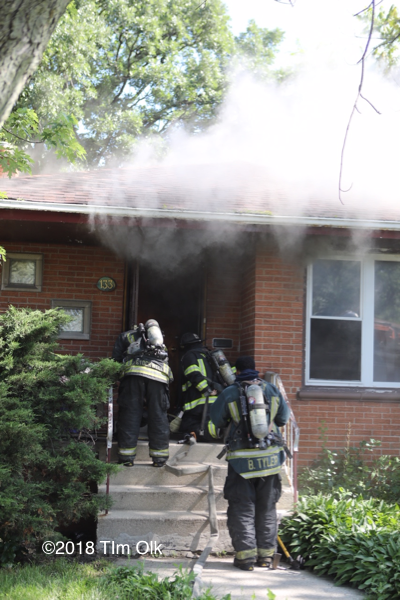 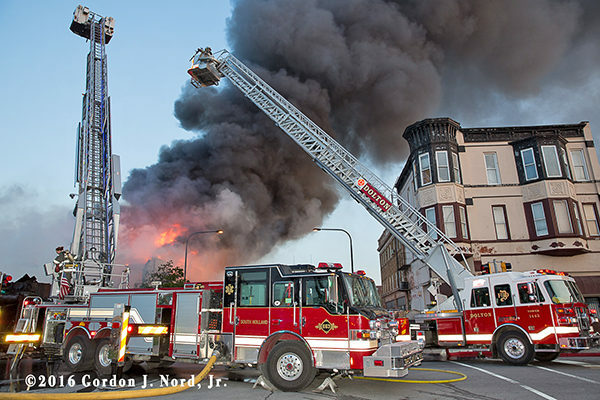 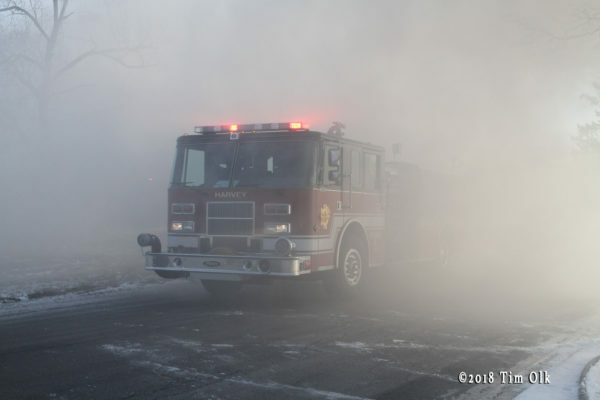 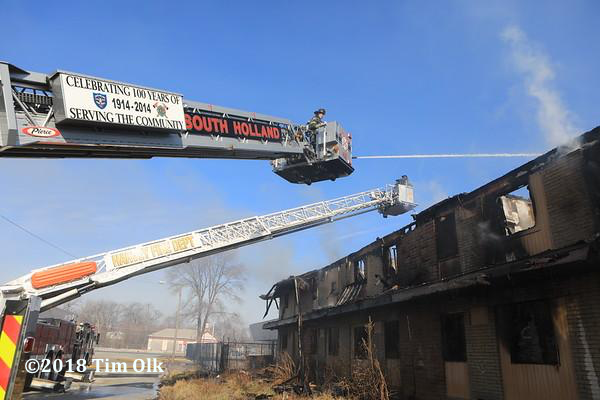 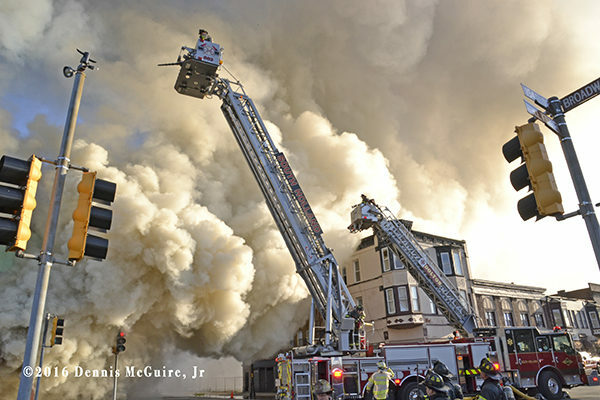 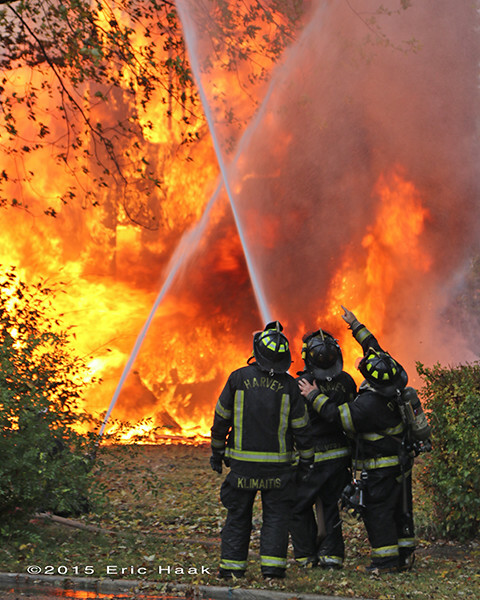 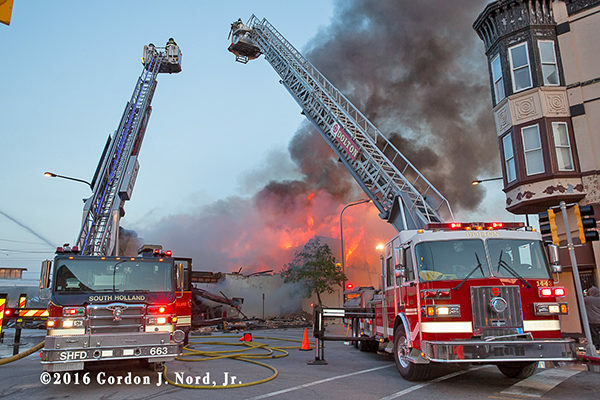 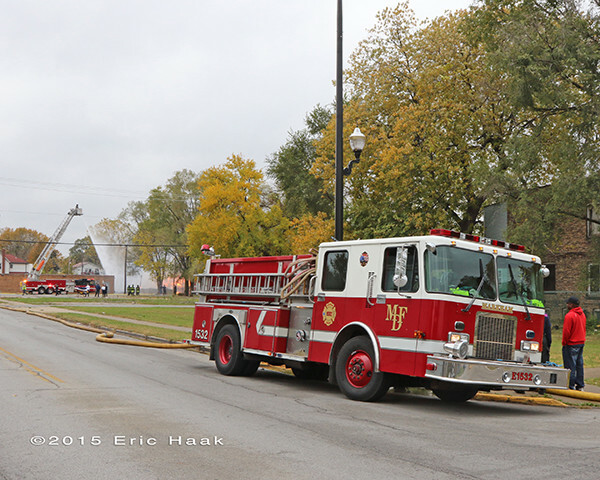 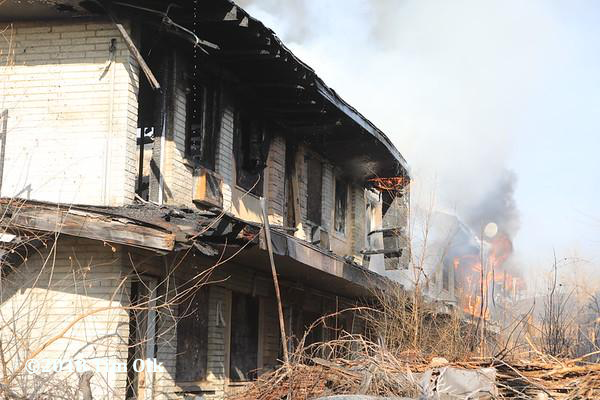 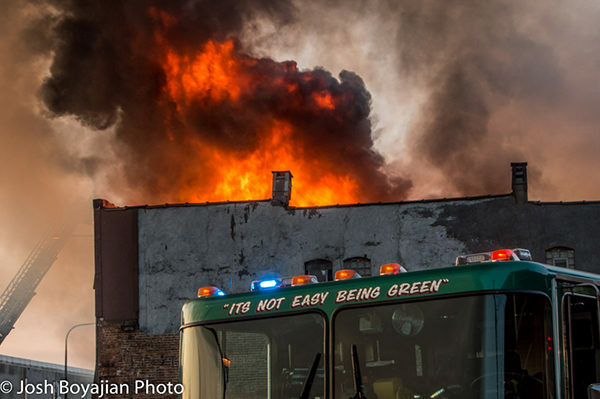 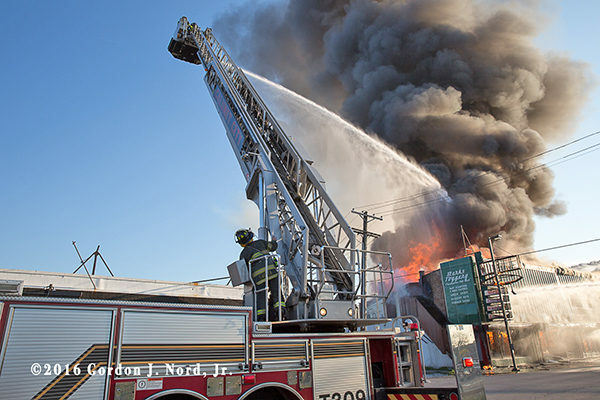 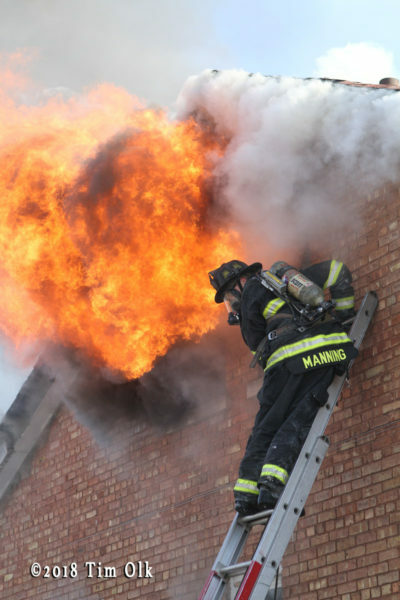 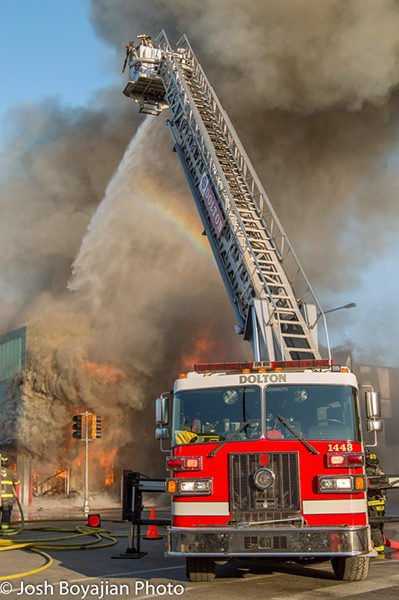 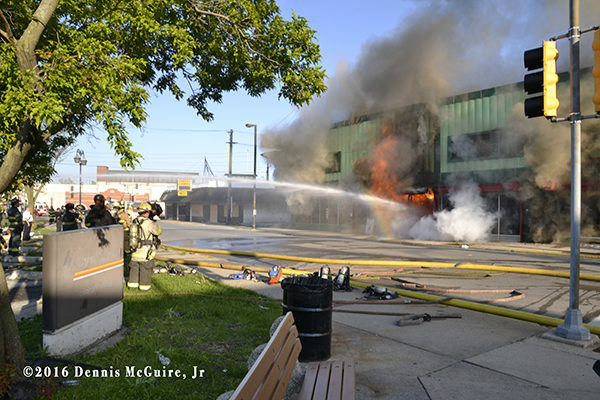 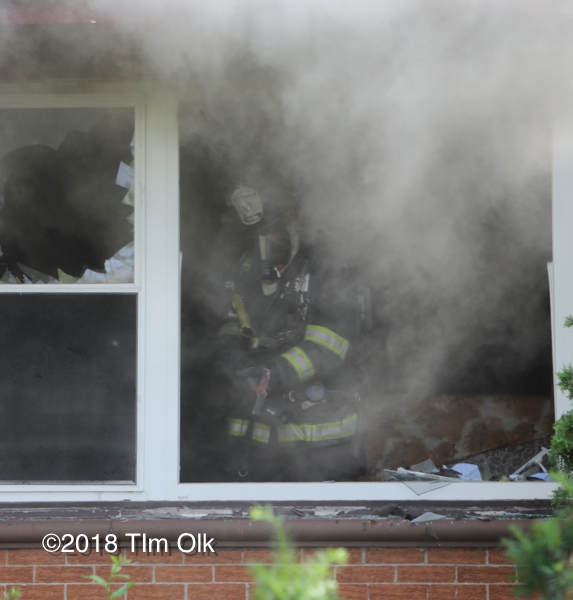 Here are some still images from the Harvey (IL) fire on Saturday (10/24). 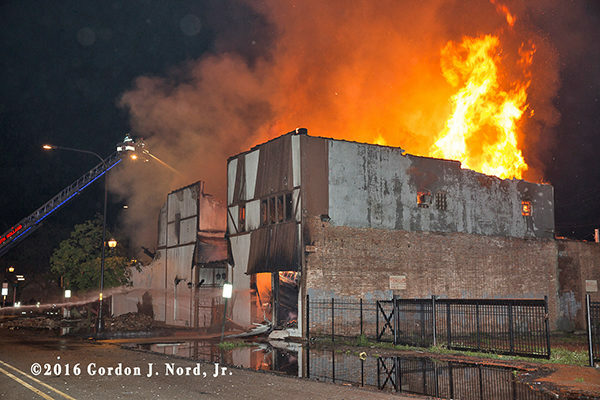 I arrived very late and they still had heavy fire in the second building. 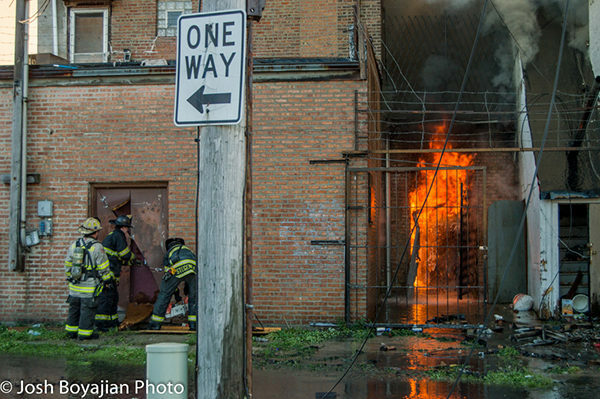 The original fire building was completely down by my arrival. 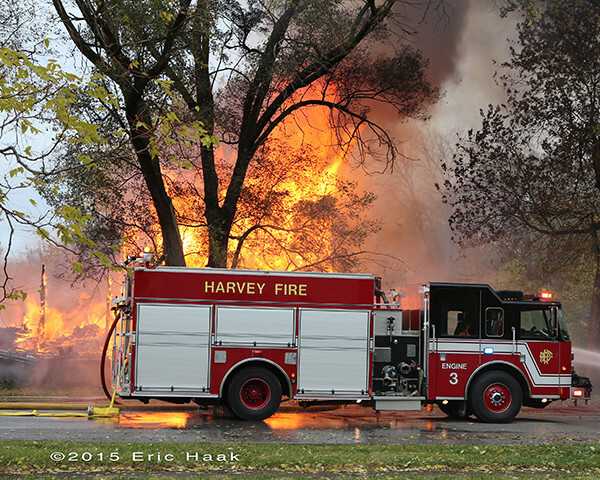 Here is a short video from Harvey, IL this morning (10/24/15). 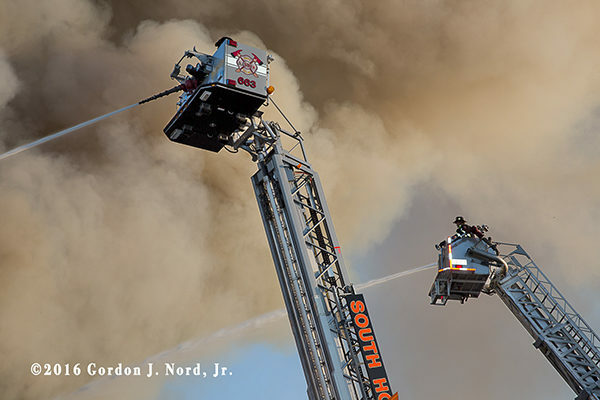 Gives a good perspective of them protecting the exposures in fairly high winds.